From flying saucers to butterflies, typewriters to gorillas, novelty teapots come in all shapes and designs. The Chinese produced the first teapots made in novelty designs. Cast in the shapes of animals, such as rabbits and squirrels and bamboo plants, the teapots were not successful due to the poor clay quality and lack of good workmanship. With the introduction of porcelain in the early 1700s, teapots began to take on new form. 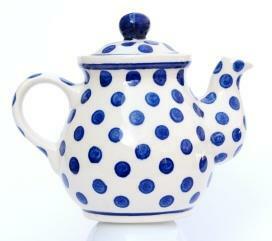 The first teapots in novel designs came from the British company of Wedgewood and Whieldon. Cast in the form of pineapples, dragons, birds and two story houses, unusually shaped teapots were quickly finding their way into English homes. The mid 1800s saw a big demand for unusually shaped teapots. Companies such as Minton and George Jones cast teapots that are very rare and are highly sought after by collectors today. As the Victorian period ended, many teapots were whimsical in design showing the humor and imagination of their designers. In 1914, when the First World War began, production of teapots in whimsical designs was halted. It was not until almost ten years later that interest was once again focused on these unusual teapots. In the last forty years, potters have continued to cast teapots in odd and unusual shapes limited only by their imaginations. In the world of teapots, there are many well-known designers each with their own unique style. The following are only a few of these talented artists. Andy Titcomb's limited edition teapots are beautifully detailed and very appealing. His whimsical creations include UFOs, Elephants and a Do Do Bird. Teapots in the shape of Big Ben and a British mailbox were created by Price Kensigton. Additional teapots from these talented designers can be found at All Tea Pots along with many more novelty and unique teapots from other artists. The Internet is a wonderful place to find novelty teapots in all shapes and designs. There are many websites dedicated to this interesting and fun collectible. One of the most comprehensive and informative sites that offers teapots in a variety of interesting designs is All Teapots - Novelty Teapots from the United Kingdom and Around the World. British Novelty Teapots, located in Colorado, is one of the finest sources of teapots in the United States. Teapot World also has an oustanding collection. Online auction sites such as Ebay often have teapots in whimsical styles. Each year in Morpeth, Australia, novelty teapot collectors from all over the world come together to share their unusual teapots with other collectors at the Weird and Wonderful Novelty Teapot Exhibition. With over 4,000 novelty shaped teapots for sale, the sight of these functional and fun serving vessels will surely bring a smile to many exhibition attendees. From its humble beginnings, teapots have grown into one of the most collectible items of all times. Joining collectors in this fun hobby, even if you have just one novelty teapot, is sure to bring a smile each time you pour a cup of tea from your ladybug, race car or other favorite novelty design.